Update Wednesday isn't over yet, and this is a big one. 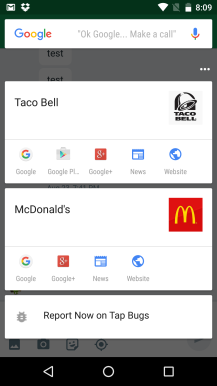 Google is rolling out v5.3 of the search app and it enables Google Now On Tap for M preview 3. 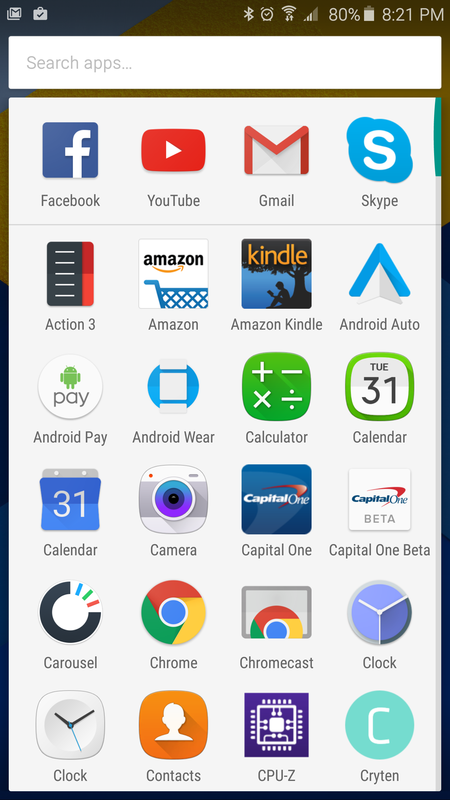 The app will install on Android 4.4 and higher, but it won't add On Tap functionality, obviously. 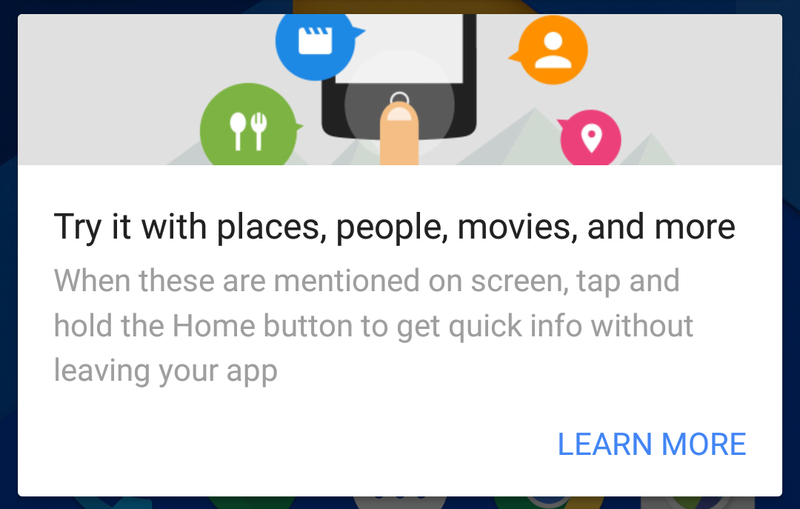 In the event you don't remember, Google Now On Tap was one of the big Marshmallow (at the time Android M) announcements at I/O a few months ago. However, it wasn't included in the developer preview. 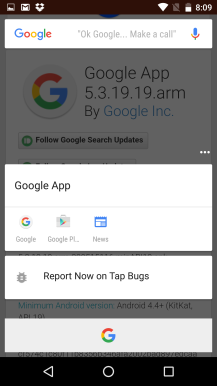 Google told us at the time that it wouldn't be included in any of the developer previews, and indeed it wasn't enabled in the third one. 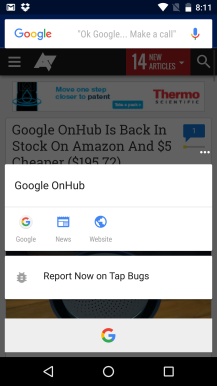 The new Google app flips the switch. You can access On Tap by long-pressing the home button. Google will scan the screen and generate cards based on the text and links. It's still a little buggy right now (error messages are fairly common), but it works. 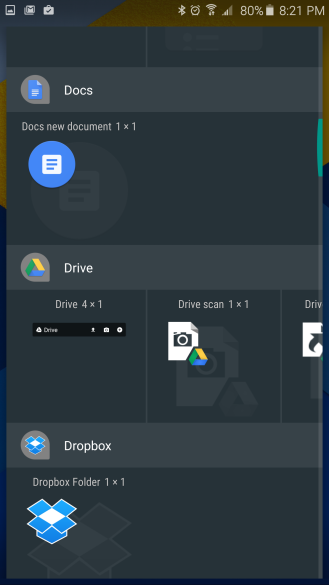 You can give it a shot if you've got dev preview 3 (it crashes on preview 2) on a device by sideloading the APK from APK Mirror. 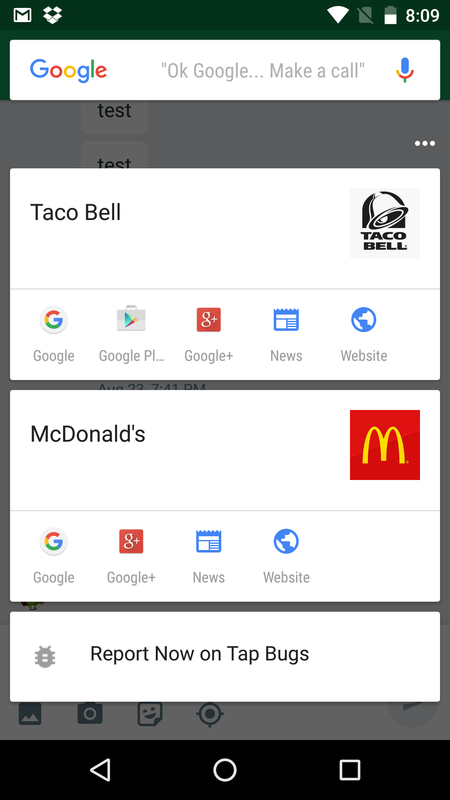 It looks like this update also moves the Google Now Launcher to the M style. That means a vertical app drawer and widget list. We're now getting a "Google Now cannot be reached" error every time. 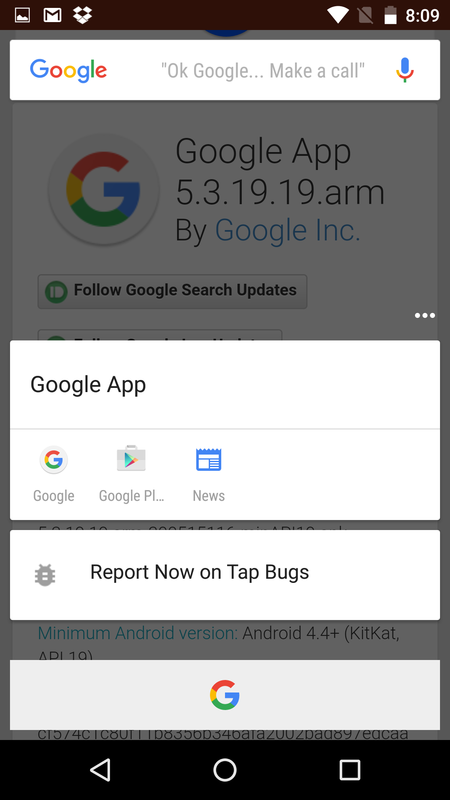 Looks like Google might have blocked On Tap from working on its end. Maybe it's not ready yet.